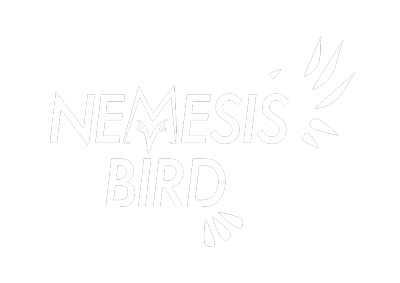 Tuesday was a busy day for us here at NemesisBird.com. With Hurricane Sandy moving through the state Anna Fasoli, Josh Lefever, Ian Gardner, Michael David, and I spent most of the morning at Bald Eagle SP searching for storm birds. Read about our success at this link. A little before noon, we decided we had to give up on Bald Eagle SP and shoot down to the West Fairview boat launch on the Susquehanna River, across from Harrisburg. Ramsey Koury, Andy Markel, Jason Horn, and others had been there all day and were getting incredible species and numbers of storm birds pass by them including a Cory’s Shearwater, a few Leach’s Storm-Petrels, many waterfowl, terns, loads of Dunlin, Red Knots, and American Oystercatchers, and most incredible of all – a group of 47 Pomarine Jaegers! We arrived at West Fairview around 2:15pm and as SOON as we pulled in, birders had spotted an adult Northern Gannet floating down the river! This bird is usually only visible from shore on the coast, or by boat on the ocean! It looked quite out of place floating down the river in the middle of Harrisburg, while it preened its feathers amongst hoards of Tree Swallows. This bird represented the 7th state record for its species! As it floated downstream a little ways, it would fly back north, only to float past us again. Eventually a few Bald Eagles seemed to be interested in the gannet’s newly created niche on the river, and it headed farther north upriver and out of view. Who knows where it went! A very strange sight to see was a number of Leach’s Storm-Petrels that nearly blended in with the Tree Swallows, only standing out because of their slightly larger size and nighthawk-like flight. One individual had particularly ratty wing feathers while the other two were crisp. We had just seen our lifer Leach’s on a Paulagic trip out of Delaware back in August so it was neat to see them in a totally different setting, on the Susquehanna River. It was also nice having a fresh idea of how Leach’s, Wilson’s, and Band-rumped look and behave to be able to confidently say these birds were certainly Leach’s. Ramsey, Jason, and Andy who observed the river all day gave Leach’s Storm-Petrel a conservative count of three but there could easily have been a handful more passing by out on the river. There were many birders present at West Fairview and all were hard at work scanning the river and sky for interesting birds. Occasionally, when we figured the other had everything under control we went to work scanning through the hordes of Tree Swallows to try and get looks at the three Cave Swallows that were mixed in and almost certainly a result of the Hurricane. Scanning around for a few minutes and it was easy to pick up the Caves since there were two pale birds that looked like juveniles and one darker bird that we considered to be a ‘Caribbean’ Cave Swallow – a potentially first record for the state! Alex spotted a Parasitic Jaeger flying downriver, harassing Bonaparte’s Gulls and as everyone was trying to get on the bird, Andy Markel yelled out that two Hudsonian Godwits were also flying past, near the jaeger! What a nuts day – we kept getting new state birds and they were all insane! Other birds of note included at least 6 Laughing Gulls, lots of Brant and other waterfowl. At one point, we looked up to see an egret flying towards us along our side of the river and realized it was a Cattle Egret – awesome! The last strange bird of the day was a single Red Phalarope. We had heard that one was just found floating upriver from us near Marysville and headed our way so we were keeping a careful watch. With all the debris on the river, it was a miracle when Josh Lefever spotted its tiny spinning body floating down the river. It was just casually floating down the middle of the giant Susquehanna River, spinning around in place with the current as if nothing unusual was happening, and as if about 25 birders weren’t crapping their pants while observing it. As the sun dropped and it became too dark to bird anymore, we all packed up and headed home. What an incredible day of birding in PA all thanks to Hurricane Sandy!! We picked up quite a few state birds and some of us even got a few lifers out of the whole thing! Here is a link to our full eBird checklist from our afternoon at West Fairview. Here is a link to Ramsey Koury’s master checklist for the entire day at West Fairview (minus the Cory’s Shearwater that was seen very early in the day). And here is a link to my version of the same checklist, with a few more details about certain species and edited numbers/species based on only what my friends and I saw once we got there at 2:15pm.